Module 01: Demographic Catastrophe — What Happened to the Native Population After 1492? The voyage of Christopher Columbus in 1492 marked the first encounter between Spaniards and the native peoples of the Western Hemisphere. The voyage was not the first time Europeans had sailed beyond the confines of their continent, encountered unfamiliar cultures, colonized new lands, or set out to exploit a colony's resources. Throughout the fifteenth century, Castilian (Castile was the most prominent of the several Spanish states that occupied the Iberian Peninsula) and Portuguese explorers sailed the oceans off the coast of Africa, colonizing the Azores and the Canary Islands while searching for a sea route to Asia. The year 1492, however, marked the beginning of the age of exploration in the "new world," the lands unknown to Europeans before Columbus's voyages. Other Spaniards soon followed Columbus, exploring Central and South America and the southern parts of North America and claiming the lands in the name of their European monarch. What drove the explorers and their powerful political and financial backers? A part of the answer lies in the religious conflicts between Muslims and Christians that resulted in a series of Crusades. Beginning in the eleventh century, the Catholic Church sought to redeem both Spain and the Holy Land from what it regarded as occupation by religious infidels. By the mid-thirteenth century, the Christian reconquest had expelled the "Moors" (their term for members of the Muslim faith) from most of the Iberian Peninsula; in the Holy Lands, the Crusades were militarily less successful. The Crusades, however, provided Europeans with a way to honor their god. Christians thought they had a divine mandate to bring their religion to the "heathens," a mandate they would later extend to the inhabitants of North and South America. The religious forays into the Middle East also exposed Europeans to exotic trade goods from Asia. The silks, spices, sugar, and other products available only in China and India were highly valued in Europe. Consumer demand piqued a desire for reliable sources, yet bringing such prizes to Europe required the long and arduous process of overland hauling, reliance on Muslim middlemen, and payments of tribute. The search for alternative routes to Asia drew Portuguese seamen to search the coast of Africa for a waterway to the Indian Ocean and the Asian trade. Castile and Portugal also colonized island groups in the Atlantic Ocean off the coast of Africa, where they set up sugar plantations and imported African slaves as laborers. When Christopher Columbus proposed to avoid the overland route and the trip around Africa by sailing west to reach Asia, he was responding to the widespread desire to find a route to the trade riches of the "Indies." Believing that the world was significantly smaller than it proved to be, and with no knowledge of the North and South American continents that lay between Europe and Asia along a westward route, Columbus was convinced that going west would prove easier and more financially rewarding than the route around Africa. Columbus made his proposal to the Spanish sovereigns, King Ferdinand and Queen Isabella, who were determined to compete with neighboring Portugal in the arena of imperial expansion. For eight years, Columbus pleaded with the monarchs and promised that his venture would bring wealth to the Spanish treasury and glory to the sovereigns. And he anticipated that he would meet "heathen" peoples whom the Catholic monarchs could have a hand in converting. It was, in his mind, a win-win proposition. In 1492, Queen Isabella gave her support to the mission. In the contract, she named Columbus admiral, viceroy, and governor of the lands he might discover and claim for Spain. She also promised him a healthy share of any profits earned by the venture. Columbus set sail on August 3, 1492. On October 12, the three small ships made landfall on one of the islands in the Bahamas. The rest is history, so to speak. Having discovered not a new route to Asia but lands previously unknown to Europeans, the Spaniards quickly determined that any profits would come not from silk and spices but from gold and silver, ores believed to be abundant in the land they called the "New World." Those who followed Columbus set out to extract from the land and the natives as much gold and silver as they could locate. Their mania for gold was prompted in part by the first reports Columbus made to Ferdinand and Isabella about the gold ornaments he acquired through barter with natives on the island he named Hispaniola. Columbus was convinced that as the Taino Indians traded the ornaments, they also described a land of immense riches not far from this first meeting place. This powerful combination of an emerging merchant capitalism, a crusading Catholicism, and political leaders vying for national supremacy supplied the funds and the motivation for exploration. The quest for riches, obedience to God's command to convert or vanquish the infidels, and the desire to bring honor to the rulers of the various European kingdoms fueled Spanish explorations in the fifteenth and sixteenth centuries. 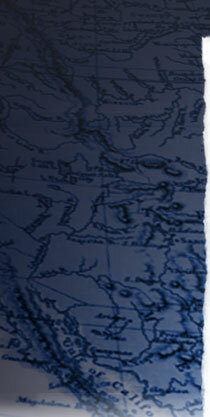 Clearly, however, the explorers also came to the New World with plans to "conquer." They called themselves "conquistadors," and they brought with them the technology of European warfare — horses, dogs, sabers, harquebuses, and cannon. Native peoples in the New World met the Spaniards with a range of responses. Columbus described the Taino Indians of Hispaniola as generous with what they had, timid, and submissive. Often, however, encounters were marked by misunderstanding and resulted in armed conflict. In 1519, the Spaniards who accompanied the conquistador Hernando Cortés into central Mexico confronted the sophisticated and highly militaristic society of the Aztecs. There, the cautious welcome extended by the Aztec ruler Moctezuma II and the people of the capital city of Tenochtitlán quickly turned to hostilities. After a few months, the Aztecs forced the Spaniards to flee the city under cover of darkness, but the rejoicing did not last. The Spaniards, aided by Txalcalans, archenemies of the Aztecs, returned with force in April 1521. After a four-month siege of the city, the Spaniards reentered Tenochtitlán in August 1521 and established the Kingdom of New Spain. Cortés sent his lieutenant, Pedro de Alvarado, south to claim the territory of what is now Guatemala, and the exploration and conquest of Meso-America continued throughout the sixteenth century. Many thousands of Aztecs died in the siege of Tenochtitlán. The Spaniards who entered the city described piles of bodies ravaged by famine and disease as well as wounds of war. How could the 600 Spaniards who accompanied Cortés have wiped out such a large portion of the population of Tenochtitlán, where an estimated 200,000 inhabitants resided? Years earlier, the Spanish authorities of the islands of Hispaniola and Cuba also told of the massive death toll that followed the arrival of the Spaniards. Indeed, the death of local peoples is a common theme in the annals of the Spanish conquest of the New World. Over and over again it occurred. Native Americans died in droves as the Spaniards moved from one locale to the next, exploring, claiming territory, Christianizing native peoples, and establishing labor systems to exploit the natural resources of the New World. Historians have debated the number of deaths and the percent of the population that died following the arrival of the Spaniards. Early colonial documents, including census figures and eyewitness descriptions, suggested to many historians that Meso-America was a densely populated region in the fifteenth century, before the arrival of the Spaniards. Other historians have found the claim without merit, believing instead that the area was largely wilderness and only scantily populated. Estimates of the population of Mexico before the Spanish conquest have ranged from 3 million to 58 million, but the best estimate at present is a figure between 16 and 18 million. An additional 5 to 6 million people inhabited the rest of Central America. The population figure for the entire hemisphere is thought to fall between 48 and 53 million. What explains such a massive drop in the numbers of native inhabitants? Warfare accounted for some of the deaths. During the siege of Tenochtitlán, for example, enemies of the Aztecs aided the greatly outnumbered Spaniards. Indians battled Indians, and the massive death toll can be explained in part by the longstanding hostilities between neighboring tribes. Other factors were also at work in Tenochtitlán. The geography of the city — built as it was on a lake connected to land (and a food supply) by causeways that were easily blockaded or destroyed by the Spaniards and their allies — also contributed to the death toll. The inhabitants depended on aqueducts for fresh water and the Spaniards were able to disrupt the supply. The Spaniards fought with more complex and lethal weapons, including cannon and harquebuses, although the obsidian spears of the Indians could be quite deadly. Once the Spaniards were in control of an area, their determination to extract as much wealth from the land as quickly as possible led them to exploit local workers without regard for health or life. Warfare and labor abuse, however, cannot fully explain the massive population decline that beset the Americas after the arrival of the Spaniards. Here again, the siege of Tenochtitlán is illustrative, for it points to the role that germs have played in history. When the Spaniards attacked in April 1521, the Aztecs were a foe weakened by disease. The preceding fall an epidemic of smallpox raged through the city, killing, among others, the new king, who had replaced Moctezuma II. Known as a skillful hardliner who wanted no alliance with the Spaniards, the new ruler was replaced by a youth without the same leadership potential. As the Spaniards mobilized forces against Tenochtitlán, the city had a weak leader and its inhabitants were still reeling from a disease that had killed as many as 30 percent of the people infected. While battles with the Spaniards resulted in many thousands of deaths, countless others, throughout the Americas, resulted from disease. The Spaniards unwittingly brought germ warfare to their exploration and conquest of the New World. In 1492, Europeans and New World inhabitants lived in separate disease environments. "Disease environment" refers to the pattern of disease present in a particular area. While Europeans and Native Americans shared a few disease similarities, there were also significant differences between the two. The European disease environment was a complex one, in part because Europeans had been sharing diseases with other areas of the globe, such as Asia, Africa, and the Middle East. When Europeans made trading expeditions to these regions, they took with them European diseases and returned with diseases from the areas they visited. Travel and trade blurred the lines separating the four major disease environments of the Eastern Hemisphere. The cities Europeans lived in exposed them to "crowd" diseases, or those spread by close contact, poor sanitation, and poor personal hygiene (Europeans rarely bathed). Typhus, spread by fleas, was endemic. The form of typhus spread by lice was more severe, and epidemics of lice-borne typhus regularly swept through urban areas. The average European diet was not a balanced one, exposing Europeans to malnourishment and nutritional diseases. Smallpox and measles ravaged the population in waves, striking young people especially and leaving those who survived with immunity from future infections. When the next epidemic of smallpox struck, some part of the population remained healthy, while others, usually the young, suffered from the disease. Infant mortality was high in Europe; roughly half the population died before the age of fifteen. Influenza and other respiratory infections were also regular health threats. Europeans were familiar with venereal diseases, although doctors had not described the symptoms of syphilis in their medical texts and it is unlikely that syphilis belonged to the European disease environment. Fevers, intestinal disorders, typhus, smallpox, measles, and influenza were endemic to Europe; that is, much of the population had experience with them. During the fourteenth century, bubonic plague swept through Europe, killing between 20 and 30 million people, or about one-fourth of the population, by 1400. Known as the "black death" because of the spots of blood that turned black under the skin, bubonic plague was a pandemic disease in the fourteenth century. In a pandemic, most of a region's population is affected, or the disease is epidemic in different parts of the world at the same time. Both were true of bubonic plague in the fourteenth century. The plague began in central Asia and was transported to Europe by land across the Middle East and then by ship to the various ports in Europe. The bacteria that causes plague breeds in rats. Rats carry fleas, and the bite of a flea from an infected rat transmits the disease to humans. The infected rats traveled to Europe alongside trade goods and spread the plague across the continent. By the end of the fifteenth century, the plague had receded and the customary European disease environment had reemerged. Until the end of the fifteenth century, the disease environment of the Americas remained isolated from that of other parts of the world. In isolation, the peoples inhabiting the Western Hemisphere developed unique patterns of disease. Among the diseases missing from the environment of the Western Hemisphere were measles, smallpox, mumps, and typhus, which migrated to the Americas along with the Europeans. When the diseases struck, they did so as "virgin soil epidemics," or as outbreaks of a disease previously unknown in an area (or absent from a particular area for many generations). A virgin soil epidemic always results in high rates of morbidity (sickness) and mortality (death). Europeans brought with them grains, such as wheat and rye. They took back to Europe potatoes, corn, and tomatoes. Horses, cattle, and sheep had been domesticated by Europeans centuries earlier, and the animals quickly made themselves at home in the American landscape. In contrast, inhabitants of the Americas had relatively few domesticated animals — dogs and some fowl, but no burden-bearers, like the horse. There were serious social and ecological consequences as a result of the transporting of animals and plants. As sheep proliferated in the New World, they ravaged the Mexican landscape. The potato became a staple of the European peasant diet; when a fungus struck Irish potato crops in the 1840s, millions died and countless others immigrated to cities in the United States. Those of us who try to rid our lawns of dandelions are coping with one of the consequences of the Columbian exchange: a European plant brought to America with the first explorers. Although the new plants and animals may have disrupted the lifestyles of New World inhabitants, native peoples did not die in epic numbers because of the transfer of plants and animals; instead, the germs brought by the Europeans were often to blame.